Haldimand County is an amalgamated region composed of the smaller communities of Dunnville, Hagersville, Jarvis, Kohler, Caledonia and Cayuga. It offers farm fresh produce that can be bought at farms and roadside markets all year round. The labour force of Haldimand County is strong and with thousands of acres of healthy soil, land use quite extensive ranging from cattle and dairy farms to grain and oil seed. Other county attractions include the Grand River Dinner Cruises, Toronto Motorsports Park, the Three Fires Homecoming Pow Wow, the Stampede Days Rodeo, the Dunnville Mudcat Festival and the Caledonia Ghost Tour. 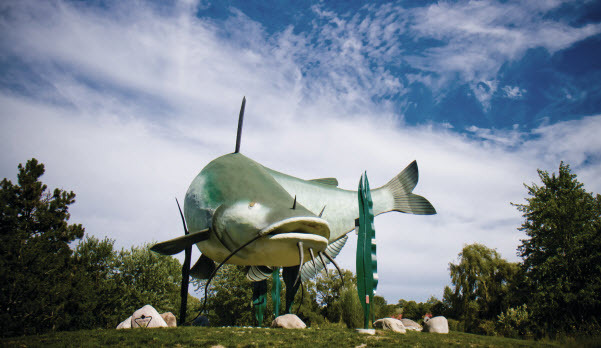 Located along the banks of the Grand River, Haldimand County is a renowned fishing enthusiast’s paradise. Conservation areas and parks along the waterfront create ideal spots for boating, windsurfing, water skiing, scuba diving, and swimming. Ruthven Park has many hiking trails through the Cayuga Slough Forest, which is one of the last remaining Carolinian Forests in Ontario. The Haldimand Family Health Team in Hagersville has seven physicians, a nurse practitioner, a social worker and two nurses, who work together to provide quality healthcare.